There are a handful of times in a person’s life where they are truly nervous. 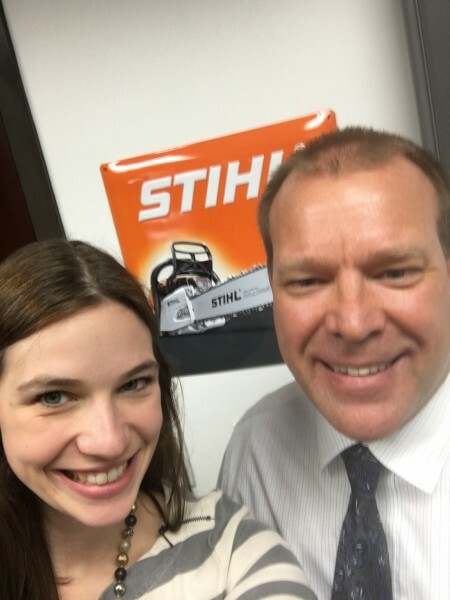 For me, asking incoming Stihl President Bjoern Fischer to take a selfie with me was one of those times. I didn’t know what to think when I sat down with the seemingly buttoned up Fischer. But there was absolutely no reason to be nervous about it. Fischer loved the idea of a photo and we actually took a few before we ended up with one we both liked! He was everything I didn’t expect when I sat down to talk with him.